My first app download was one of the Angry Birds games. I love the entire series, so I quickly downloaded their new game when I heard it was available. This is very different from Angry Birds. In that game, you played as the birds, launching them at the pigs and their structures because the pigs took the birds’ eggs. 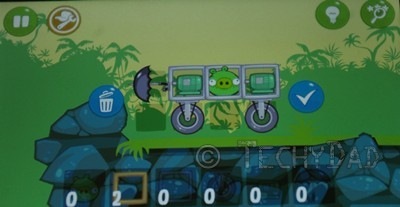 In Bag Piggies, you play the pigs’ side. No, you won’t be stealing any eggs. Instead, the pigs’ map to the eggs has gone to pieces and you need to recover these pieces. To do that, you build various vehicles to transport the pigs. 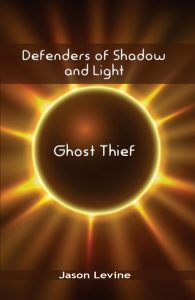 I loved how – as the game progresses – more and more elements are added. You get wheels and engines, balloons and rockets. The courses you navigate get trickier, but your contraptions have grown to fit it. You even need to build more than one contraption per level to hit all of the goals. Given that this game is free on Android ($0.99 on Apple, $4.95 on PC), it’s definitely worth a try. Go ahead and download it. 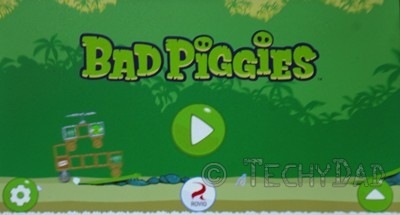 Then get to work building some wonderful machines to help those bad, bad piggies. NOTE: I was not compensated for this review in any way. I liked the game and wanted to share my opinions about it.